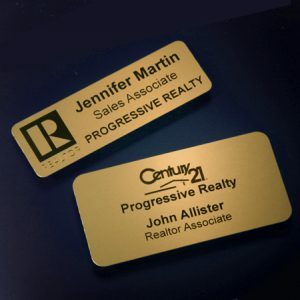 Should A Realtor Wear A Name Tag? 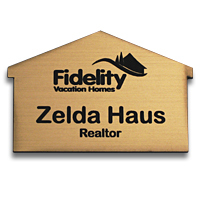 Amplifying your brand as a Realtor starts with wearing a name badge. In a recent vlog for Real Estate Raw & Uncut, Byron Lazine and Tim Bray discuss the importance of why a Realtor should wear a name tag. “Should your chest be a billboard?” questions Lazine. “There are times when you should definitely have a name badge. Like when you are going to a national event or a local chamber meeting or things like that. I think somebody remembers your face, but they don’t remember your name,” said Bray. “Here’s the question: Does it increase your chances of getting business?” said Bray. “I think it does!” exclaimed Lazine. “So that’s the answer. It kinda goes against the grain of what I’ve thought about in the past,” stated Bray. Does it increase your chances of getting business? Remember that everyone is a possible client. So wearing a name tag does have the potential to increase brand awareness and get your name and reputation out there. Lazine also spoke on the importance of amplifying your brand as a Realtor. He compared the use of a name tag to using a business card with a picture. By wearing a name tag, prospective clients, as well as current clientele, will not only remember your face, but they will associate you with the brand you are representing. But should real estate agents wear name badges on a daily basis? Many other professions don’t wear them so that it could be perceived as cheesy or corny. And, in many cases, it depends on someone’s style. The most important thing to consider is to do what makes you feel the most confident! Here at Coller Industries, we agree with Lazine and Bray. Name tags are important for everyone! But don’t just take our word for it. Check out the vlog (video blog) for yourself! Posted on August 15, 2017 May 21, 2018 Author Alisha CopferCategories Our Products, Tutorials and Product AdviceTags branding, coller industries, name badges, name tag inc, name tags, personal branding, real estate, realtorLeave a comment on Should A Realtor Wear A Name Tag? Most people know about the 4 Cs of diamond purchasing. However, here are the lesser known 4 Cs of name tags! When you are planning on purchasing a diamond it is important that you know as much as possible about how diamonds are classified. Experts do this using a 4 Cs method. Did you know it’s just as important to know about the 4 Cs when purchasing a name tag for your business? Follow these simple steps to finding your perfect name tag. 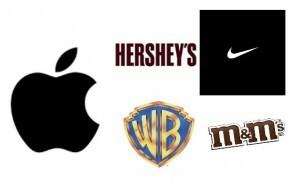 While most name tags are for names, logos and other elements are just as important. What do you want your name tag to look like? It’s important to be able to customize a name tag to meet any need. From color to material, customization is key. Choose from plastic or metal. Choose your color and printing technique. And finally choose a logo, graphic or just plain text. Customers and consumers are what keeps us all in business. The last thing anyone wants is for someone to not understand who can help them. 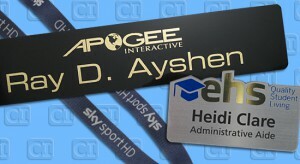 Use name tags so that all customers will be able to easily identify staff. It will also save them the frustration of asking the wrong person for assistance. Convenience also extends to where someone wears a name tag. Make sure your employees place the name tag appropriately on their clothing. Brand awareness is a huge part of being connected with your consumer. By creating a specific brand, companies make themselves known in their communities. This connection should also include proper communication. Many organizations give employees name tags as a way to aid this connection. These name tags have logos and graphics to identify and inform others. Each time a logo is used on personal identification, a brand is connected to a consumer. By far, this is one of the most important of the 4 Cs. Cost affects the actual purchasing decision for name tags. If they are too expensive, or can be found somewhere else for cheaper, name tags won’t be purchased. Coller Industries strives for the best pricing for our quality products. There are multiple choices available for every price range. Finding the proper personal identification helps all business endeavors. And, using these 4 Cs, purchasing name tags becomes an easy task.